Rhodes University alumnus and community journalism trainer, Mr Gino Shelile has been selected amongst more than 12 000 applicants globally to attend the UNAOC-EF Summer School in Tarrytown, New York, from August 24th to August 31st. The Summer School is a partnership between the United Nations Alliance of Civilizations (UNAOC) and Education First (EF). “The conviction that youth are a driving force for positive social change is the basis for the UNAOC-EF Summer School. This week-long summer school brings together 100 youth from across the globe to address pressing global challenges within the context of cultural and religious diversity,” said the UNAOC-EF statement. “I am so excited. This is everything I have been working towards,” he said. He feels that the summer school has afforded him a great opportunity to see and learn from others. “The summer school provides me with a once in a lifetime opportunity to meet with like-minded young people from around the world in an effort to address global issues,” he said. “As a community journalism trainer I have encouraged those who are from what would be described as previously disadvantaged communities to reclaim their freedom of speech and to become active citizens who not only document issues their communities are faced with, but also suggest ways in which to solve these. The ultimate goal was to encourage national dialogue among the youth, and to leave them with the affirmation that they are the change that it is needed in their communities,” said Mr Shelile. “I am most excited about the wealth of knowledge I will be surrounded by. I mean, who better to help you address world peace and responsible global citizenship than United Nations Secretary-General Ban Ki-moon himself? Who better to teach you about social entrepreneurship and the use of social media for positive change than Erik Qualman? Media magician, author of “Socialnomics” and professor of digital marketing,” he added. Recently graduating from Rhodes University, he has spent the past two years working as an online producer for the South African Press Association; a broadcast journalist for Vuselela Media; and a B Media Ys community journalism trainer across South Africa’s nine provinces. 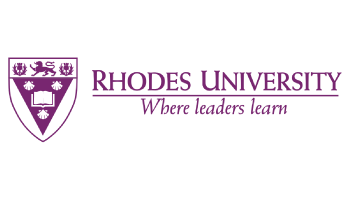 “Like so many who have come before me, I feel proud to raise the Rhodes’ banner. I cannot begin to describe my loyalties to Grahamstown – it has played a pivotal role in shaping who I am today. Hope I don’t let it down,” added Mr Shelile.